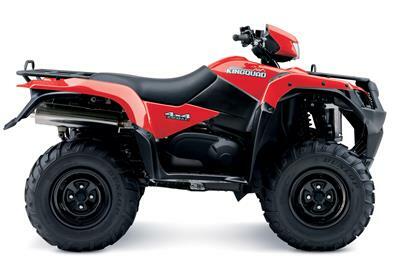 Suzuki Motorcycles has taken the wraps off the all new fuel injected KingQuad 400ASi. Utilising its ATV experience spanning over 26 years, Suzuki has introduced a two wheel drive automatic model to its KingQuad 400 range. Suzuki's popular middleweight ATV, the KingQuad 400, has received significant updates for 2010, including the addition of fuel injection providing even more efficient performance and an all-new dash display. Continuing to deliver outstanding performance and value-for-money for farmers, the 2007-model two-wheel-drive, manual Suzuki Eiger is now available. Suzuki Australia has released the exciting 2005-model manual transmission, two-wheel drive Eiger 400 ATV. Suzuki is set to shake up the middleweight ATV scene by introducing two all-new models, a highly sophisticated automatic, four wheel drive, and a manual two-wheel drive stablemate, both capable of tackling the most rugged terrain.